My family and I love having family game nights. At least once a week we enjoy playing a family game together. If it is raining out, or we are having a low key day, we will also play games together. Looking in my game closet, I noticed I really need to switch games out and update. Luckily, Blue Orange Games contacted me to review 4 of their new games. The first thing I noticed about Blue Orange Games is that they have really cool and fun looking games. Totally different than the usually department store game selection. I couldn’t wait to get the games and play them with my two children. 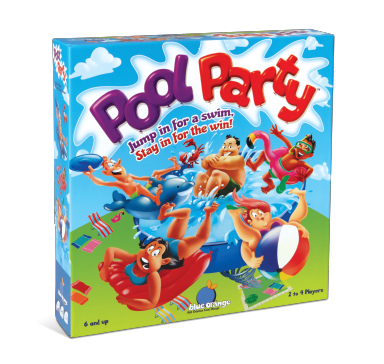 The first game I played with my children was Pool Party. What a perfect game for the hot summer weather we are having here in Florida! The box is colorful and fun, my kids couldn’t wait to open and play! This game is so much fun! My kids and I had a blast trying to get out swimmers in the pool! My kids said they could play this forever. It was the perfect game for my 7 year old who usually gets upset when he doesn’t win or doesn’t understand how to play. 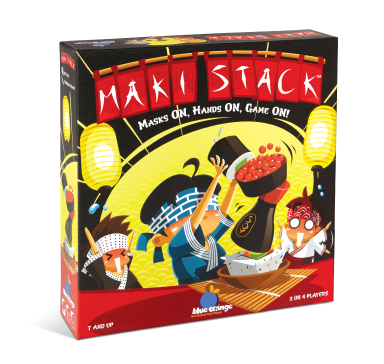 The second game we played is called Maki Stack. 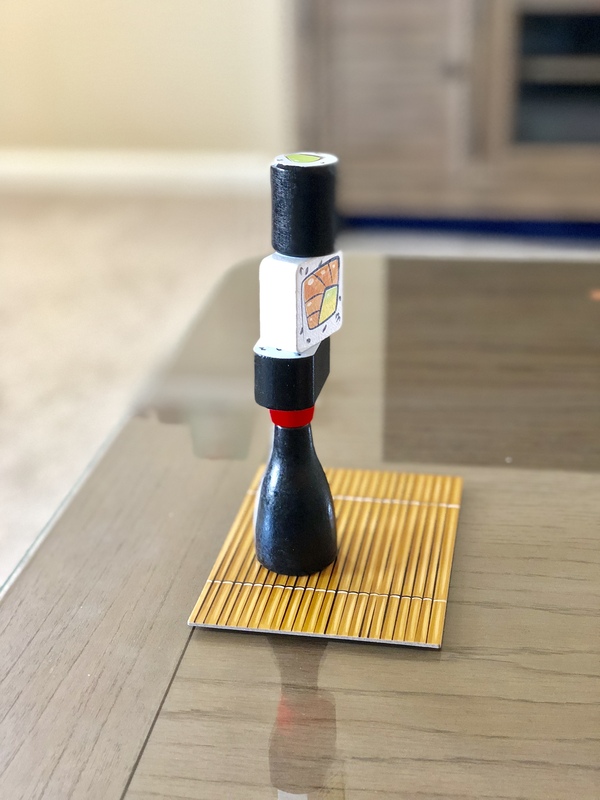 My daughter loves sushi, so when she saw the box she automatically wanted to play it right away. This game is so much fun! My daughter loved where you have to use a blindfold to stack the pieces. We both had so much fun playing this game. The third game is called Who did it? If you have a child that loves emojis, especially the “poop” emoji, they will love this game. 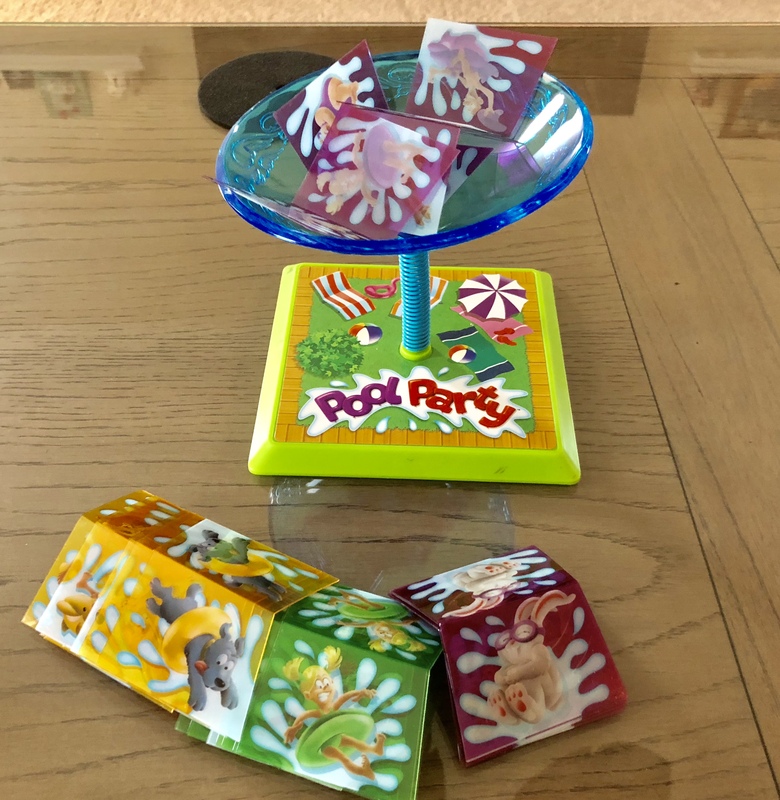 In this hilarious card game, players race to get rid of their cards so they can avoid the blame of owning the animal that pooped. Each game is as funny as it is fast; quickly find your card, be the first to throw it down, and then blame someone else! Was it YOUR cat that pooped in the living room? Because it wasn’t my fish! This game had all of us lagging the whole time! A simple yet fun card game that was all about Poop!! So fun! 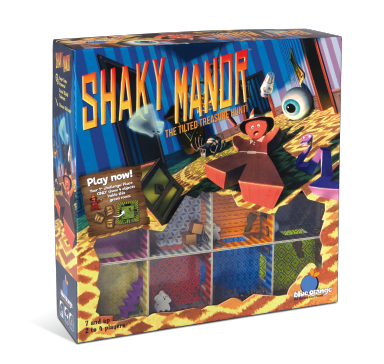 Last but not least….my absolute favorite out of all of them, Shaky Manor!! I love how you can start playing this game before opening the box! Start tilting! Two of the rooms are together with the play pieces, so you can see through the box and start playing. This game was so much fun, I love games of skill and logic. My 9-year-old had a blast playing this as well did I! I was super impressed with these awesome games from Blue Orange! These games would be a great addition to your family game nights. They would also make fabulous gifts! To learn more and to purchase, please go to Blue Orange Games. *I received these games in exchange for my honest opinion. 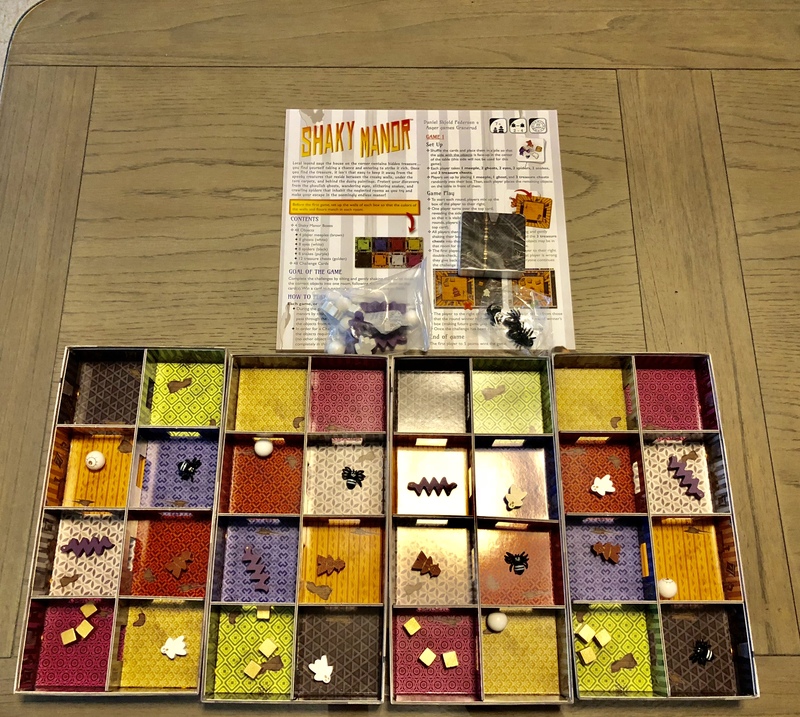 Blue Orange is letting me give away my favorite game, Shaky Manor, to one lucky winner! U.S Residents only, giveaway ends on 8/3/18. Please enter using the giveaway rafflecopter below. Good Luck! We try to play a different game each time, but Uno Wild Tiles is our favorite game to play. We play Mexican Train. I love it. around here we play candy land. I like playing jenga but lately everyone has been on a guess who or clue kick. We enjoy crazy 8 and uno. My favorite for family game night is Scattergories. Thanks.